Mauricio Umansky Sues Over Claims He Cheated Client! 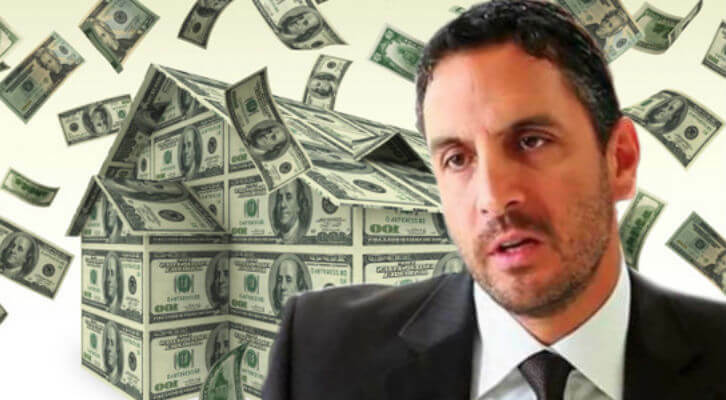 ‘RHOBH’ Star Mauricio Umansky Countersues Over $32 Million Mansion Deal Alleging Impropriety! Mauricio Umansky is responding to a lawsuit that claims he acted unethically during a $32 million dollar mansion sale, by countersuing. Kyle Richards‘ husband new lawsuit claims that his real estate company, ‘The Agency,’ was not defend by Western World Insurance Company in a lawsuit over a Malibu mansion, according to The Blast. Umansky’s legal drama stems from a lawsuit that alleges, the Real Housewives of Beverly Hills star misled a client when he conspired with another investor to underpay for a Malibu mansion and then secretly flip it for $70 million — a year later, at a profit of $37 million. The seller of the mansion is demanding The Real Housewives of Beverly Hills househusband pay back $8 million from the deal and his insurance company is suing him to avoid having to fork over $3 million as part of that. ‘RHOBH’ Star Mauricio Umansky Speaks Out After His Home Was Burglarized For Millions! Mauricio Umansky and his luxury real estate company, ‘The Agency,’ came on board as the real estate agent in 2015 and received five offers on the home, ranging from $32 million to $33.5 million. The issue arose when, a man named Sam Hakim offered to pay Oberfeld $8 million to buy out his first-place spot to purchase the home, prior to the sale. Oberfeld countered demanding $15 million with Umansky and his partner getting a 4% brokerage fee. Umansky and the other investors would resell the home a year later for $69.9 million. On June 25, Western World filed a lawsuit alleging Umansky failed to communicate the assignment offer or the counteroffer to the United States or the seller prior to the sale closing. In the 33-page lawsuit, the insurance company alleged that Umansky made several misstatements in his application for an Errors and Omissions liability policy, including incorrectly stating that the value of the largest transaction he had completed in the past year was $30 million. He applied for the policy in June 2017, two months after selling the property for $70 million. Western World’s position is they should not have to pay Umansky’s legal bills in the battle with the seller, due to his misconduct on the sale. In Umansky’s counter-suit against Western World, he denies all allegations of unscrupulousness conduct and says the entire transaction was subject to terms of a settlement agreement between the seller and the United States Government. The reality dad is seeking Western World pay his legal bills, in addition to, compensatory and punitive damages. Dennis Shields Autopsy Blocked by Family Amid Drug Overdose Rumors!